Hmmm… so did you miss me last weekend? Ha… yeah, sorry. Big blogger fail. It was Monday before I even realized I didn’t get the party up. Super fail. Sorry, everyone. So, link up extra this week so I don’t miss anything. But, first things first… I have a giveaway winner to announce. A couple weeks ago, I was offered a chance to give away a 3 month subscription to Conscious Box, an eco-friendly company dedicated to finding and sharing the best eco-friendly products out there. The giveaway is over and we have a winner! Was it you? Head over to the original post to find out! Congrats to the winner and thank you to everyone who participated! And a few features… from a couple weeks ago. Check out this whole display. It’s fabulous. And I LOVE those letters and the map! Find it at Creative Passage. How delicious do these look? 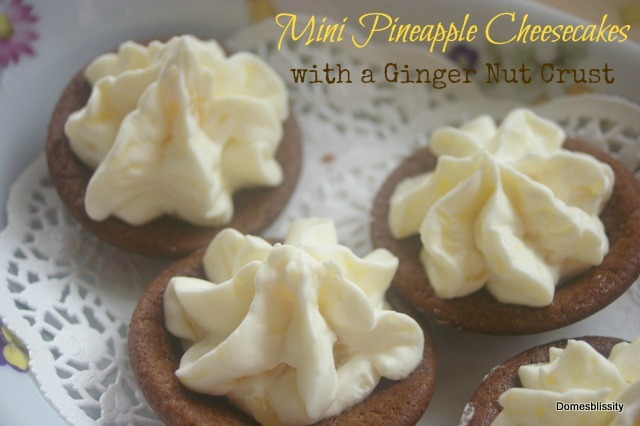 Mini Pineapple Cheesecakes? Get the recipe over at And Sew We Craft! Take a look at this knock-off project! 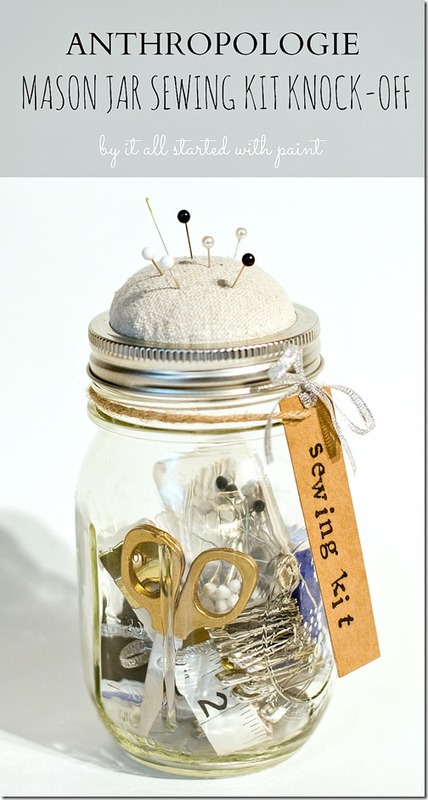 I love the sewing kit in a Mason jar. Super classy gift. Get the details at It All Started With Paint. Krista – Thanks so much for the feature! You brightened my day! 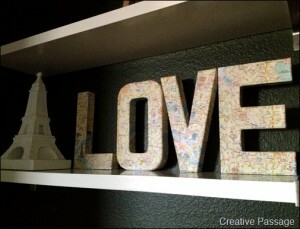 Thanks so much for featuring my Paris Love Letters! Thanks for hosting too! !